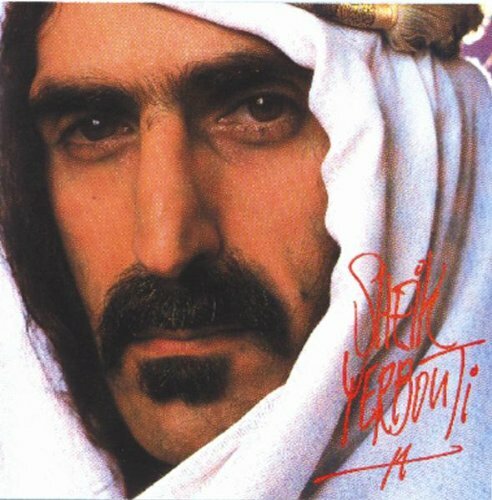 The first image on the page is for Frank Zappa - Sheik Yerbouti, followed by the original. Also check out the most recent parody covers submitted to the site. Ehh.... It was already a parody, not much you can do to this cover. If the parody was captioned "Abu Moon Unit Abu Dweezil Abu Ahmet Emuukha Rodan Abu Diva Thin Muffin Pigeen Frank Zappa ibin Francis al-Baltimore" with a picture of the Ayatollah it might possibly be funny as a parody of a parody. As it is though, the image, although well-rendered graphically, is semantically meaningless in relation to the original--which is a masterpiece. BTW Zappa's father, Francis Zappa, born in Partinico, Sicily was of Greek-Arab descent.